Recreational Vehicles | Larson Law Firm P.C. Every season, the residents and tourists of North Dakota enjoy our beautiful open land and waterways on jet skis, boats, snowmobiles, ATVs and other recreational vehicles. Unfortunately, a carefree afternoon could suddenly turn into a tragedy when design flaws, malfunctioning parts or negligent motorists cause fatalities or severe injury. If you or your loved one was injured in a recreational vehicle accident, consult the Larson Law Firm P.C. for experienced advocacy you can trust. Our experienced North Dakota injury lawyers understand the challenges associated with these types of injuries. We are prepared to pursue a maximum recovery while holding at-fault parties accountable for their negligent actions. ATV accidents. All-terrain vehicles offer fun and excitement for riders, but malfunctions and negligent maintenance can cause serious crashes. Snowmobile accidents. According to the National Institutes of Health, snowmobiles can weigh up to 600 pounds and reach speeds in excess of 90 miles per hour. When operated in a negligent manner, these recreational vehicles can cause severe harms. Fishing boat accidents. Fishing boat accidents can lead to numerous types of injuries, from slip and falls aboard the boat to negligent operation of the vessel. Water ski accidents. Water ski accidents can be particularly violent and injurious due to the risk of the skier making contact with the propellers on the motor of the boat. Internal injuries and severe lacerations often result from these accidents. Jet ski and wakeboarding accidents. When operated or maintained in a negligent manner, jet skis and wakeboarding can place the operator and others in the water at serious risk of harm. When you secure the legal services of our skilled North Dakota personal injury attorneys, we begin by evaluating the circumstances of the accident to determine fault. Our legal team reviews the property damage to help us reconstruct how the accident happened. We also interview any witnesses to understand factors which may have led to the accident, such as alcohol use, reckless driving, or failure to provide a helmet or personal flotation devices. 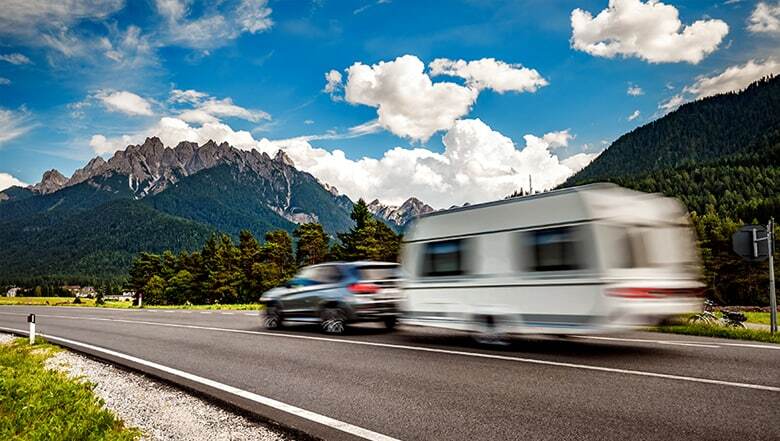 In addition to analysis of the accident, our lawyers also analyze product recall reports to determine if the recreational vehicle accident was related to a product defects. We often consult engineers and other industry experts to understand if faulty brakes, tire defects or design flaws possibly caused the accident. Don’t wait to seek legal assistance for your recreational vehicle accident injury. 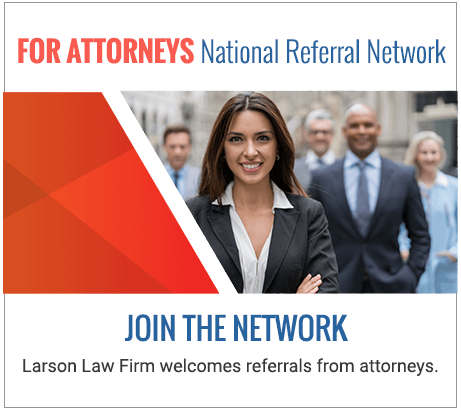 Trust the reputable North Dakota recreational vehicle accident attorneys of Larson Law Firm P.C. with your case. Our office location in Minot, North Dakota, is easily accessible with convenient parking. We are also proud to represent clients throughout Ward, Williams, McKenzie, Pierce and Mountrail Counties. Call us toll free at 701-484-HURT or complete our contact form to schedule a free initial consultation with an experienced accident lawyer.